Baby Driver was this critic's pick for the #1 movie of 2017. It never takes very long for idea-bereft Hollywood to imitate a big hit. 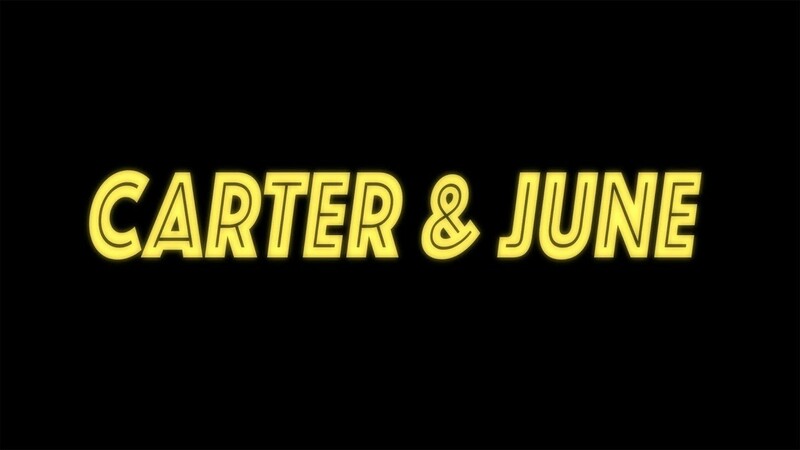 Exhibit A: Carter & June, a bank robbery flick which fails to measure up to Baby Driver, whether or not that cinematic masterpiece served as the source of director/co-writer Nicholas Kalikow's inspiration. 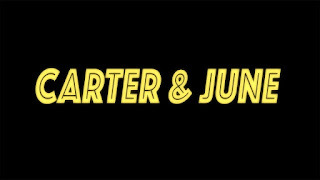 A la Baby Driver, Carter & June revolves around a waitress and mobster under the thumb of a Machiavellian villain. But where the former film featured an A-list cast with Jamie Foxx, Jon Hamm, Kevin Spacey and Ansel Elgort, the latter's ensemble doesn't have any matinee idols. Michael Raymond-James and Samaire Armstrong co-star as the title characters Carter & June, respectively, an action-driven dramedy set in New Orleans. Like the protagonist of Baby Driver, Carter is a small-time crook looking to go legit. Trouble, is he's indebted to Spencer Rabbit (Timothy Omundson), a vicious crime boss operating with impunity in the city because so many crooked cops, including the police commissioner (Paul Rae), are on the take. At the point of departure, we find Carter losing a load of Rabbit's cash during a drug deal gone bad. That means the only way to get back in the kingpin's good graces and out of his unsavory line of work once and for all is to participate in an elaborate heist of a cool half-million dollars from the New Orleans Bank & Trust. Of course, that will prove easier said than done. Unfortunately, for the audience's purposes, the screen is littered with more sidebars and support characters than you might care to keep track of. For instance, there's a compromised cop (James Landry Hebert) with a greedy wife (Lindsay Musil) who's secretly sleeping with a local preacher (Will Beinbrink). And June just happens to be in the midst a bitter custody battle with her vindictive ex over their young daughter. An overplotted mess that throws everything but the kitchen sink up on the screen.